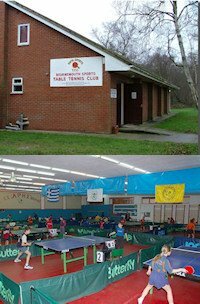 Tackleway Table Tennis Club is in East Sussex, England. We are located at The Parish Room, next to 175 Wishing Tree Road, St. Leonards-on-Sea, East Sussex, TN38 9LD. In the 2015/16 season we will have seven teams playing in the Hastings and District Table Tennis League which is comprised of 3 divisions. We have two tables for match nights in separate rooms with good lighting and equipment. 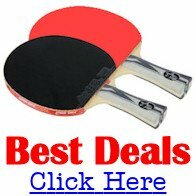 We play our home matches on Wednesdays and Thursdays during the season. We also have a practice night on Mondays, but any visitors will need to check prior to attending by contacting the club secretary. Currently practice nights are £3 per person and from 19:30 to 22:30 hours approx. We have approximately 30 players with three teams in Division 1, two in Division 2 and two in Division 3. Hastings and District Table Tennis League plans to develop table tennis in the area and as such we are looking forward to seeing this develop. Tackleway fully support this project. Our club has a great atmosphere and we would like to see more young people playing this great sport. The age range of the league is from early teens to players in their 80s.